In my last post I explained my method for meal planning for the whole year! I was kind of amazed by how many people seemed interested in giving it a try. 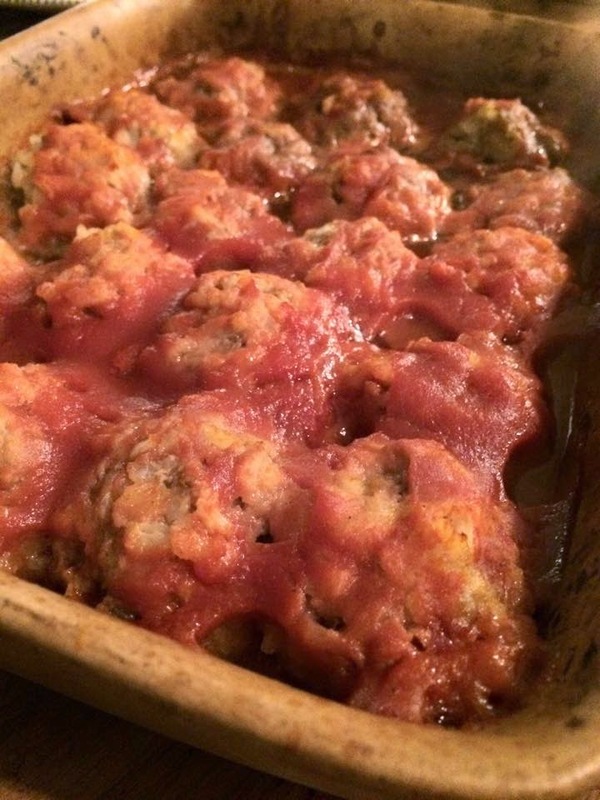 One of the recipes I listed on my meal ingredient list was "Porcupine Meatballs." This recipe actually came from a cookbook that is a compilation of all of my grandma's recipes. She passed away in 2005 and I was given this recipe book in her honor. She was a great cook and homemaker. I wish she were still around to give me pointers. But I do feel close to her when using her cookbook - like she's there with me in the kitchen. My friend Alex requested that I share the recipe, so here it is! I hope you enjoy it! Alex took this picture after she tried out the recipe and loved it! *I typed up the recipe how my grandma had it in her book, but in my experience with this dish, the rice didn't seem to cook all the way and would still be a little crunchy. So to remedy that I usually boil the rice for about 5 to 10 minutes just to get it semi-soft. Let it cool a little before adding it to the meat mixture. I also like to add an egg to the mixture to help it to stick together. Enjoy! Yes! These are SO good. Can't wait to share! !